Did you know that Healthquest can send appointment reminders? We might’ve spoken about this before, but it’s incredibly powerful and deserves another look. With appointment reminders, you can send batch email or text reminders to your patients about upcoming appointments, right within Healthquest! To access appointment reminders, click the Appts menu and select Appointment Reminders. Select the applicable doctors/schedules, enter the desired date range, and all of the upcoming appointments for those doctors/schedules within that date range will be listed. You can then email or text a specific patient, or all of them with the click of a button, including customized appointment dates/times per patient. It’s super convenient and helps to reduce no-shows! 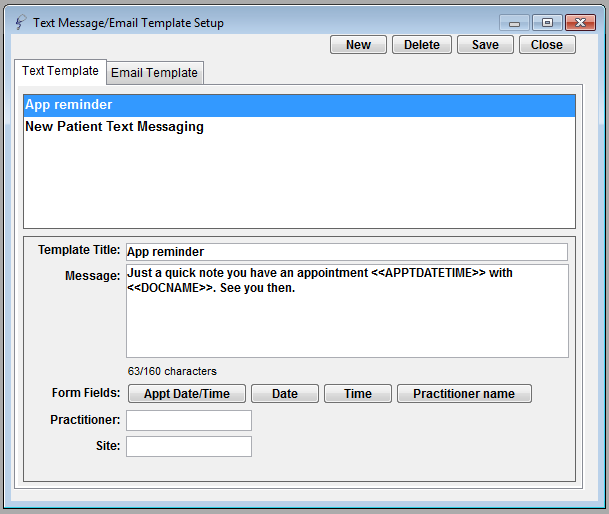 Healthquest also gives you the ability to create a template for both text and email reminders. 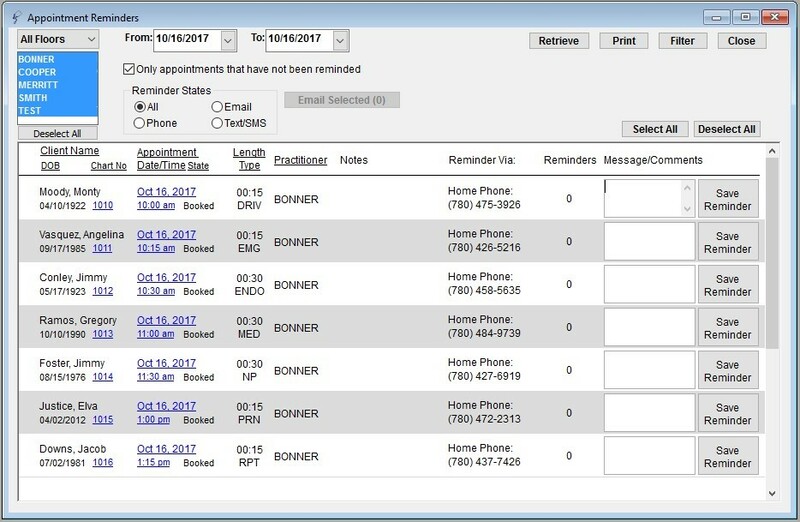 Use the template setup screen to create any number of reminders offering different messages for specific appointment types, practitioners, or locations. Contact us today to get access to appointment reminders. Please Note: extra charge applies for text messaging. Please speak with your Client Services Representative for more information.